Northampton's Junior Morias could make a return to the side as they host MK Dons at Sixfields Stadium on Saturday. The striker played the final 10 minutes against Yeovil and was an unused substitute on Boxing Day against Swindon but will hope to feature more prominently following a return from suspension. John-Joe O'Toole could return soon for boss Keith Curle, having not playing since November's defeat to Newport. The midfielder is not set to be out for much longer, and could increase competition for places for the Cobblers. Robbie Simpson could feature for MK Dons after being an unused substitute for two successive matches following a return from injury. The Dons will be looking to bounce back in their push for promotion, after losing 3-1 to Cheltenham on Boxing Day. Manager Paul Tisdale has been without a number of defensive options with Joe Walsh and Jordan Moore-Taylor both yet to return to training, while midfielder Jordan Houghton has been playing out of his usual position in defence. However, the manager did not use the injuries as an excuse and told the club website: "We're not going to get things our own way this season. The opposition will always want to win and we have to find ways to beat them." 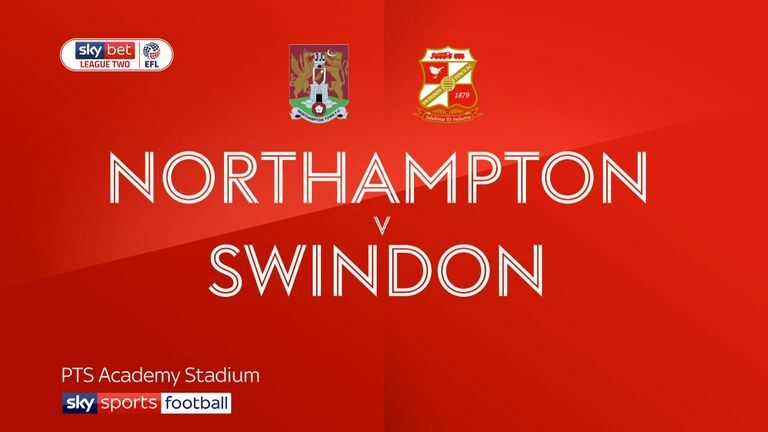 Highlights of the Sky Bet League Two match between Northampton and Swindon. This will be the eighth ever league encounter between Northampton and MK Dons, but just their second in the fourth tier after a 1-0 win for MK Dons in October. Northampton have won both of their last two home games against MK Dons, scoring at least twice on both occasions. 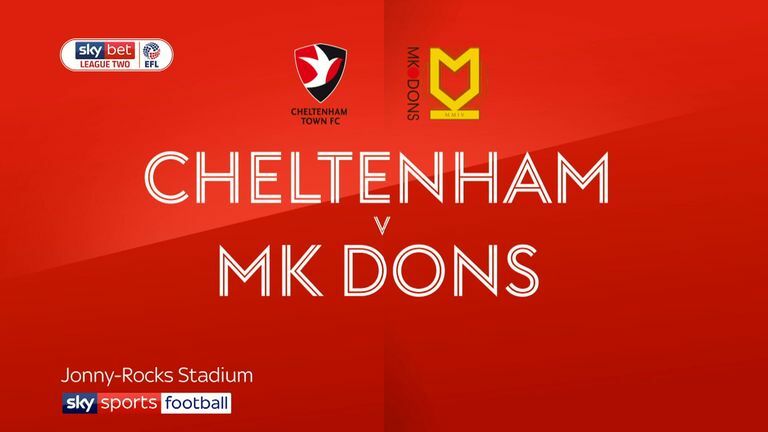 Highlights of the Sky Bet League Two match between Cheltenham and MK Dons. 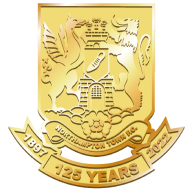 Northampton have drawn three consecutive league games all by a 1-1 scoreline. 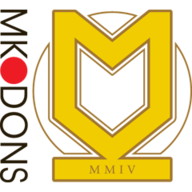 MK Dons have lost back to back away league games - they last lost three on the bounce away from home in April whilst in League One. Northampton manager Keith Curle has never beaten MK Dons in three previous clashes as a manager (D1 L2).